The Zoom 5350 is a DOCSIS 3.0 device offering 8 x 4 channel bonding. Allow 5 to 30 minutes to power up the first time because the cable modem / router must locate and connect to the appropriate channels for communication. The DS (downstream), US (upstream), or Online modem lights flash until the Online light stays steady green to signal success. 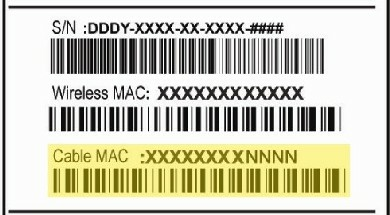 The Zoom 5350 has the following ports available on the back of the cable modem / router. GE 1-4 (Gigabit Ethernet 1-4 also known as LAN 1-4) - Four 10/100/1000 auto-sensing RJ-45 ports. 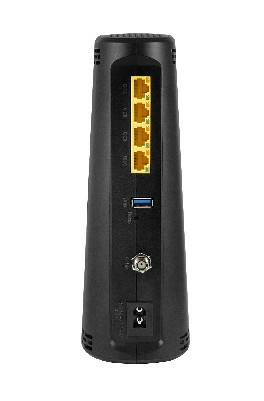 Connect devices on your LAN (Local Area Network) such as a computer, hub or switch to these ports. USB - Connect to the USB port on your computer. RESET - Use this button in the unlikely event that you want to restore the default factory settings. This button is recessed to prevent accidental resets of your cable modem/router. CABLE - Connect your coaxial cable line to this port. The modem lights indicate the current status of your cable modem / router. To troubleshoot any connection problems, use the table below. Power Off No power - Verify all cable connections and try resetting the modem. Blinking Green Scanning for downstream channel - Verify all cable connections and try resetting the modem. Off Upstream channel is inactive - Verify all cable connections and try resetting the modem. Blinking Green Scanning for upstream channel - Verify all cable connections and try resetting the modem. ONLINE Off No connection - Verify all cable connections and try resetting the modem. WPS Off No WiFi client associated with the cable modem via WPS - Enable WiFi. WLAN Off WiFi disabled - Enable WiFi. For more detailed technical information on the Zoom 5350, use the resources below.